Nearly twenty years of experience and thousands of satisfied customers – is the best guarantee of high quality of services provided by company Ulenberg – a regional leader in supporting farmers and their farms. The company offers a full range of agricultural services, ranging from plowing and sowing through fertilization and care, and ending with the harvesting, transport. We sell and service new and used farm equipment and machinery of the world’s largest manufacturers and professional equipment to work in the forest and garden. We provide training and sale of fertilizers and plant protection products, as well as fuels, fuel and construction materials and spare parts for agricultural machinery. Our customers can also use the services of auto-service, which repairs vans and cars of all types. 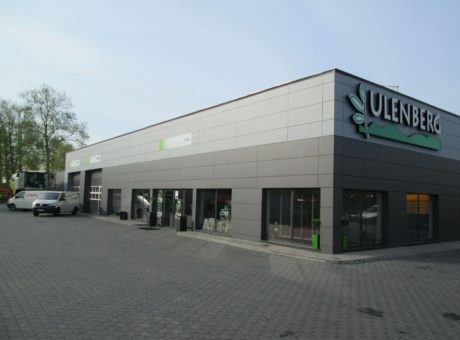 Since 2009 Ulenberg has been a dealer of recognized agricultural brands, whose equipment is sold at authorized points in Główczyce, Malechówko and Rymań. Thanks to this it covers almost the entire Pomerania. The origins of the company date back to the year 1996. Out of a small business firm Ulenberg developed into several dynamically operating companies, employing skilled workers who work at the headquarters in Główczyce and the branch stores Redło, Lucim, Chojnice, Potęgowo, Stowięcino, Malechówko, Rymań, Rzuszcze and Leśnice.